Chalmers will award about 40 Government scholarships (in 2013) funded by the International Programme Office for Education and Training (IPOET). 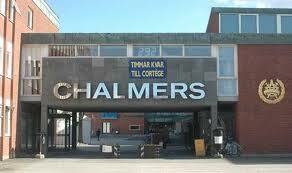 The scholarships are allocated and granted by Chalmers.The selection is based on the applicants’ relative academic excellence, which primarily includes weighted average grade but also home university´s stature (including position on global ranking lists) and priority order of the application for Chalmers Master´s programmes. Citizens from non-EU/EEA countries who are required to pay tuition fees for Swedish university education except for the following countries: Bangladesh, Bolivia, Burkina Faso, Cambodia, Ethiopia, Kenya, Mali, Mozambique, Rwanda, Tanzania, Uganda, and Zambia..
No funds are transferred to the scholarship laureates. Demikianlah informasi mengenai IPOET Scholarships, Chalmers University of Technology, Sweden semoga berguna bagi anda.